UTAR Centre for Environment and Green Technology (CEGT) Chairperson Prof Ir Dr Ong Kok Seng was recently awarded the Volunteer Award for Meritorious Service 2018 by The Institution of Mechanical Engineers (IMechE) International Strategy Board (ISB). The Award is made in recognition of outstanding services to IMechE's international network and only two awards are given out each year. Prof Ong is one of the recipients with the other being Daniel Fayolle of IMechE Groupe France. “It’s certainly an honour to receive this award,” said Prof Ong, adding that he is still passionate in contributing and continue bringing IMechE Malaysia to greater heights in his capacity as a senior member. According to Prof Ong, some of IMechE Malaysia’s included organising various technical talks as well as supporting IMechE student chapters all over Malaysia and various academic events such as UTAR CEGT’s biennial International Symposium on Green and Sustainable Technology. Therefore, he wishes that IMechE continue to spearhead more enriching and engaging activities in the near future. 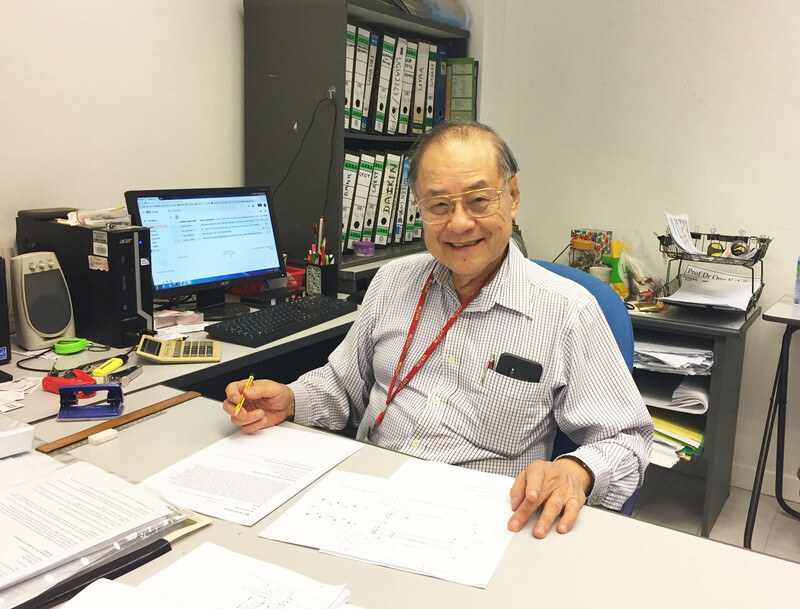 An active member of IMechE since his undergraduate days at Imperial College London in the 1960s, Prof Ong was one of the founding members of IMechE Malaysia Branch in 1997. As one of IMechE Malaysia’s longest active members, Prof Ong was also the pro tem chairman for three consecutive terms for 1997/98, 1998/99, and 1999/2000. At its first Annual General Meeting in 2001, Prof Ong was elected the inaugural Chairman for the term 2001/02. He was also re-elected for the term 2002/03 and served as Chairman for three further terms, which are terms 2009/10, 2016/17, and 2017/18. The IMechE website also commended Prof Ong’s extensive experience and insight in Institution matters, as well as the contribution of his leadership skills to the Malaysia Branch. Among Prof Ong’s professional achievements were being a Fellow of IMechE, UK (1991), Chartered Engineer UK (1991), a Registered Corporate Engineer, UK (1974), a Fellow of the Institution of Engineers, Malaysia (1990), and a Registered Professional Engineer with the Board of Engineers, Malaysia (1974). Also a founding member of the Malaysian Chapter of ASHRAE, Prof Ong had held various posts such as President, Vice President, Treasurer and Secretary from 1987 to1991. He was the Honorary Engineering Consultant to the Malaysian Red Crescent Society and UNHCR from 1985 to 1991. The Malaysian Red Crescent Society Meritorious Service Medal awarded to him in 1990 was another feather in his cap.